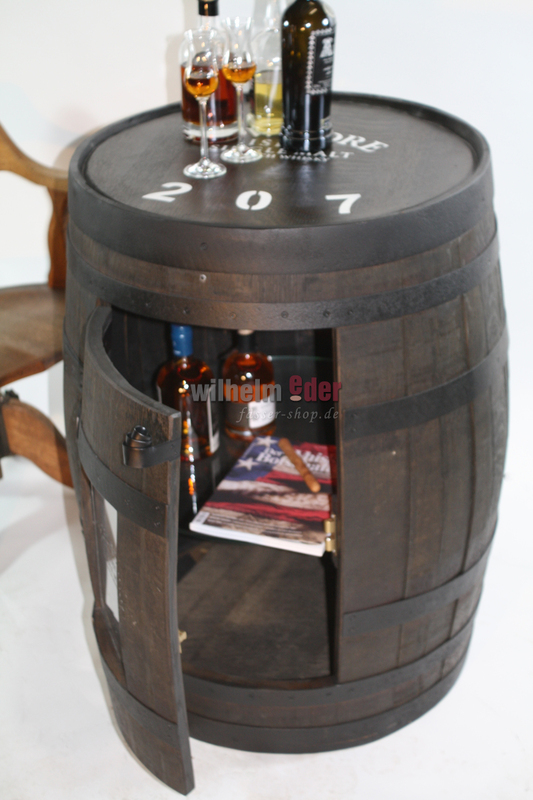 Product information "Single Malt Shelf Barrel with door"
Made of an original Hogshead 250 l barrel which has been filled with Single Malt. 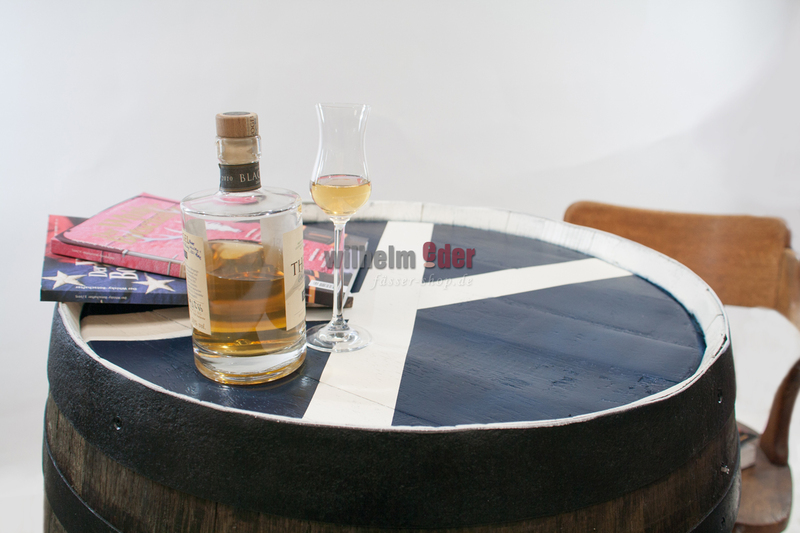 The origins of the barrels range from Scotland over continental Europe as far as Asia – There you will also find high-end whisky. This original shelf barrel has been built carefully from former whisky barrels in our workshop. 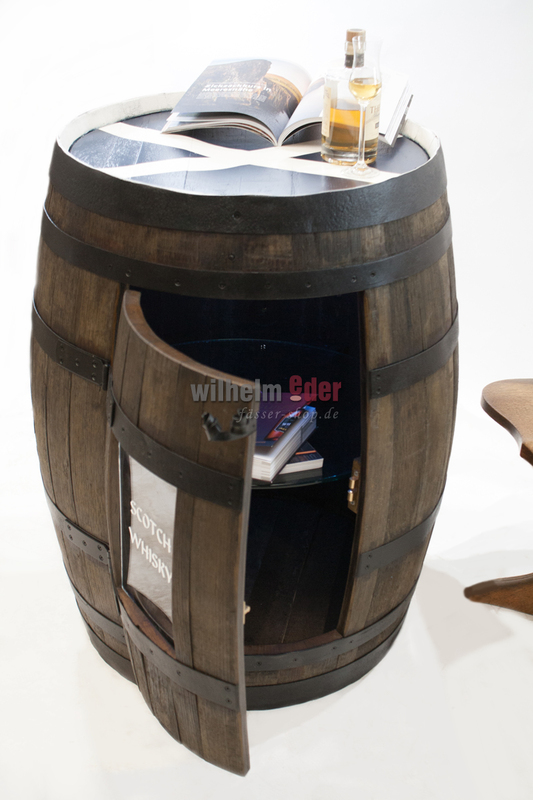 All these shelf barrels have been equipped with a glass shelf which makes the inside of barrel elegant appearance. 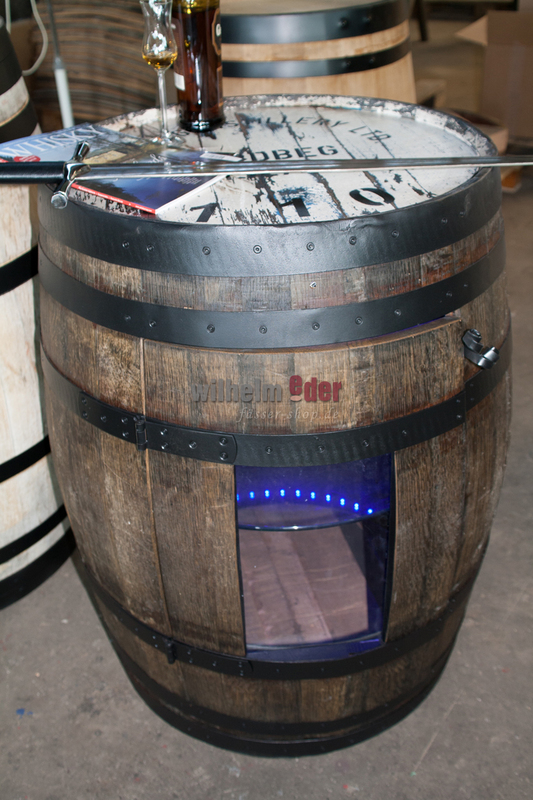 LED lighting has been installed in the barrel (Remote control included) which allows making different light colors from inside. 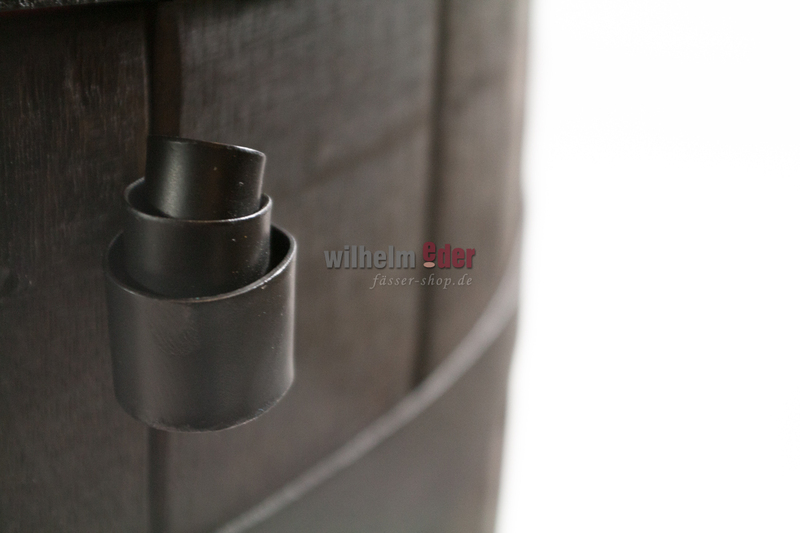 This barrel is equipped with a door and a Plexiglas window, the door closes with a snap lock and the door handle has been made of a former barrel hoop. 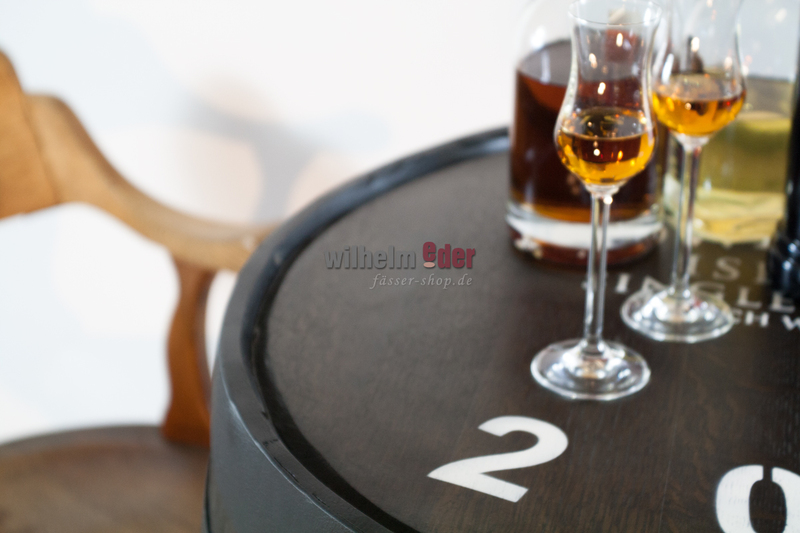 You will often find the original brandings of the distilleries where the barrels came from. 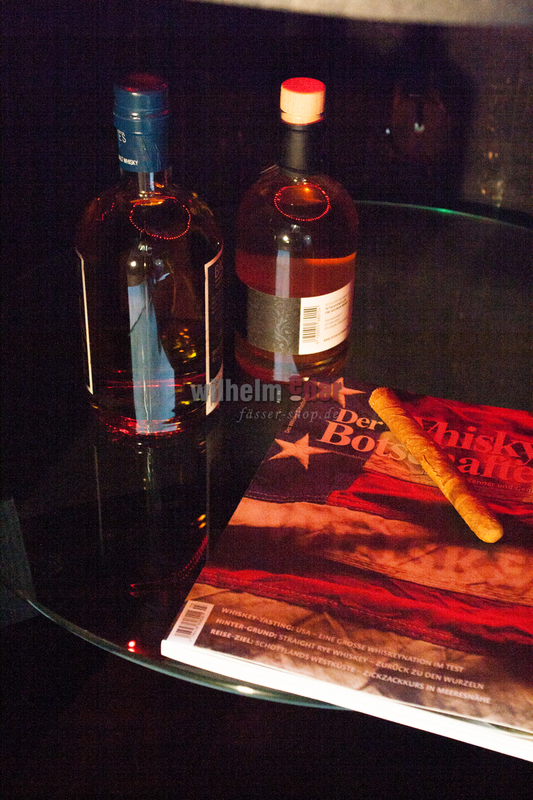 The brandings of Spey Side, Glen Grant, Glenmorangie, Bowmore e.g. have been found regularly in our barrel import from Scotland. We try to keep the lettering and painting on the heads as well as to reconstruction in order to bring the emotional character and stories of barrels more close to you. 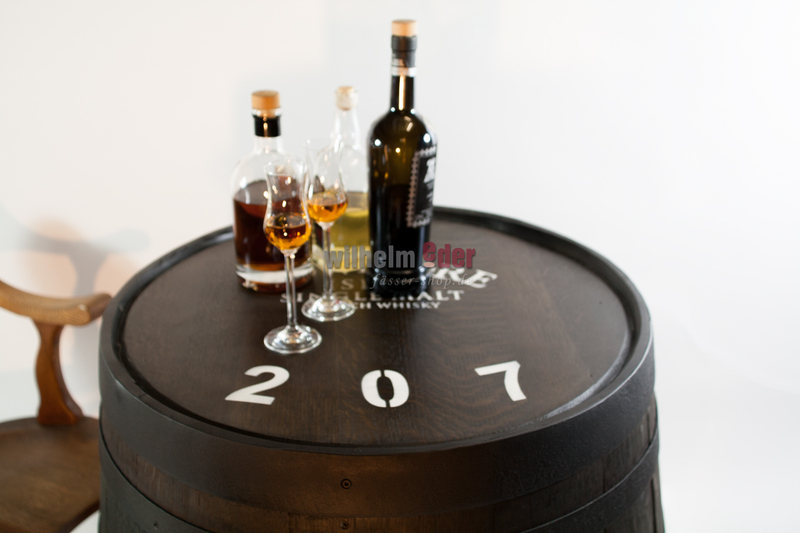 A fantastic present for every whisky connoisseur or a fabulous display for your whisky shop.